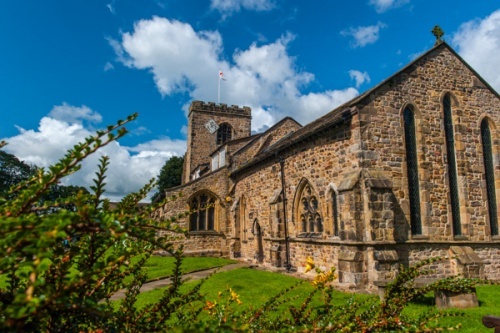 The village of Ribchester has a long and fascinating history, and the medieval church of St Wilfrid's embodies much of that history. The church is built on top of the Roman fort of Bremetennacum Veteranorum, and stones from the fort are built into the fabric of the church (indeed, a former rector claimed that two Doric pillars supporting organ loft came from the Roman fort). A similar pair of pillars support the porch of the White Bull Hotel nearby. The fort was established in the late 1st or early 2nd century AD and grew to become a substantial and important cavalry fort, with a sizeable town growing up around it. 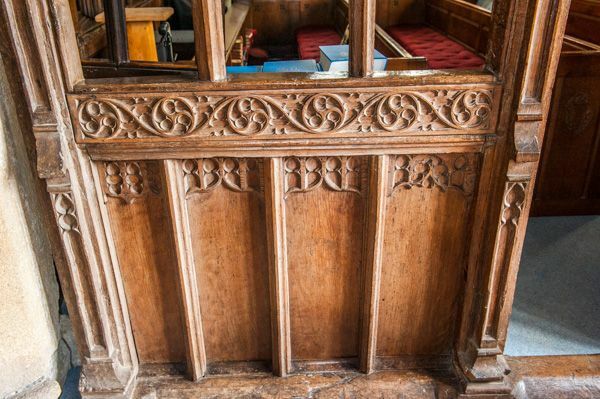 It seems likely that by the 6th century the town, which became known as Riblecastre, would have had a small wooden church, probably on the site of the old Roman Principium. 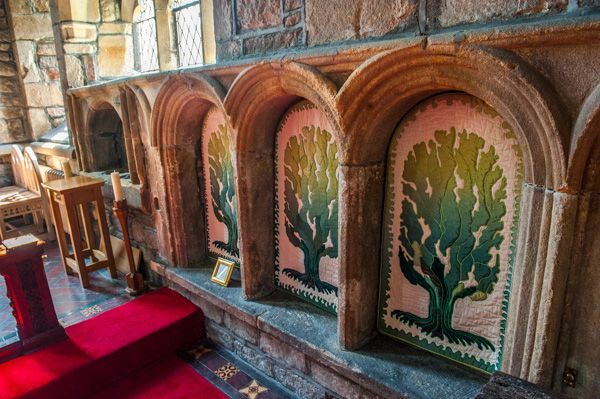 It seems quite likely that this church was part of a campaign by Wilfrid, the 7th century Bishop of Ripon and Archbishop of York, to encourage church building throughout northern England on the Catholic plan. 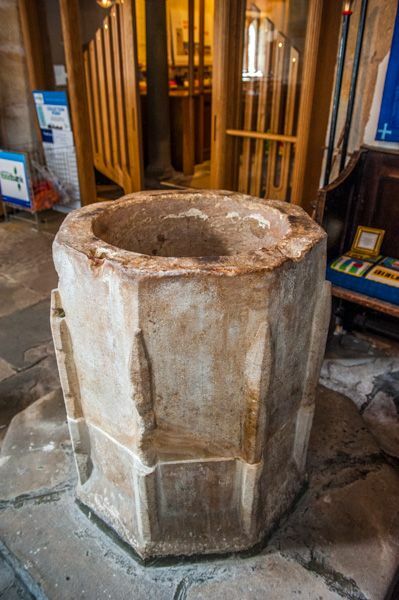 It is likely that the early post-Roman church would have been rebuilt in stone at this time. As mentioned, the Domesday Book of 1086 does not mention a church at Ribchester, but this may be because of the destructive effects of William the Conqueror's suppression of a rebellion in the north following the Norman Conquest. 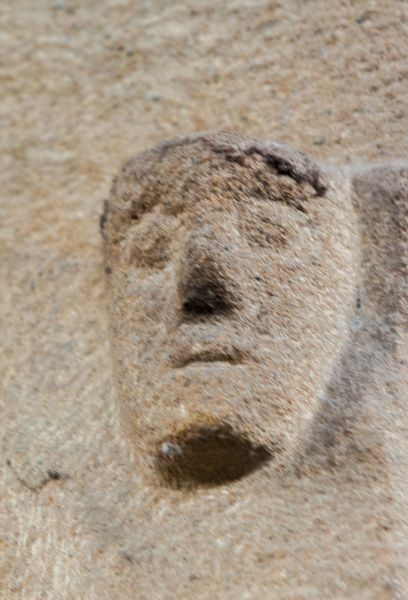 Certainly, sections of stonework near the blocked north door appears to be Norman. Finds on the site of a Saxon coin and small fragments of a Celtic cross suggest that there was an earlier church on the site. There is no mention of a church in the Domesday Book, however. The current St Wilfrid's is primarily 13th century (roughly 1220), with a Perpendicular tower, and rather odd rectangular dormer windows. The south porch and north chapel are 14th century. 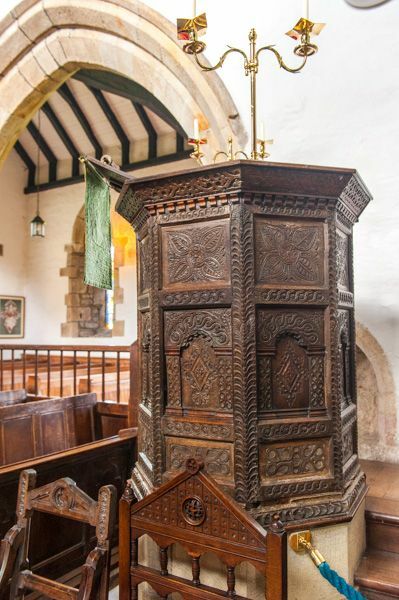 There is a 14th-century font, and a Jacobean pulpit dated 1636. 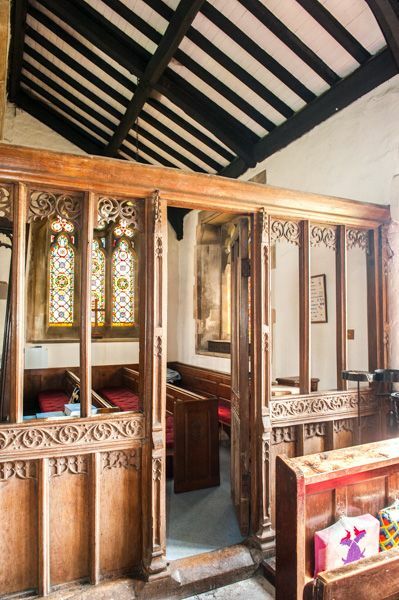 The north chapel, also known as the Dutton Choir, began as a chantry chapel. 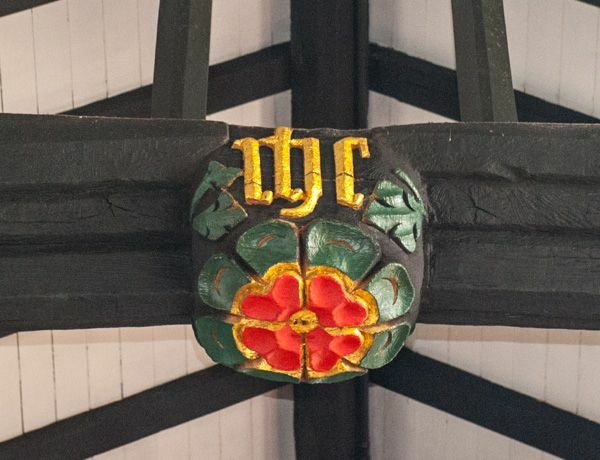 Local tradition says that over 300 inhabitants of Ribchester who died in the Black Death lie buried beneath the Dutton Choir. 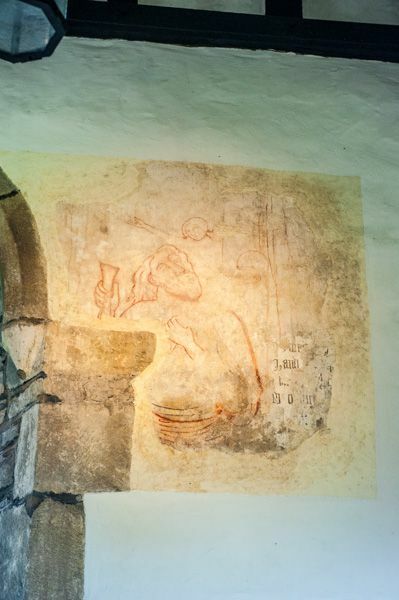 On the north wall of the chapel are the remains of a 14th-century wall painting depicting St Christopher carrying the Christ child. 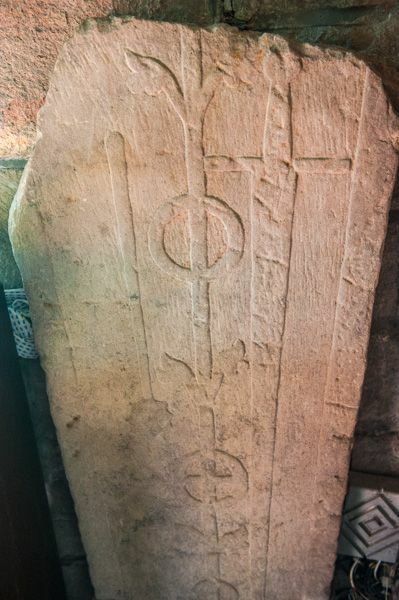 In the churchyard, near the chancel, is a stone sundial which dates to the 17th century, upon a reused cross shaft set on a base which was probably used for a churchyard cross. At the base of the shaft is a very apt inscription reading "I am a shadow - so art thou - I mark time - dost thou?" This large property is situated on the edge of Ribchester in Lancashire and sleeps 10 people in 5 bedrooms.